As a director of a successful recreational gymnastics program, I get to train many of the new coaches. The first part of training always includes going over policies and general information. One of the most important topics that I like to educate new coaches about is parent communication. As a coach, it is crucial that we are communicating clearly and consistently with our athletes' parents. For our recreational program, that generally means speaking to parents at the end of each class. Why is Parent and Coach Communication Important? Speaking with parents about their child's progress can be an intimidating task, especially for first-time coaches. It definitely gets easier the more that you do it, and it is one of the best ways to help build a relationship with your athletes. Parents know their kids better than anyone. They are a wonderful resource for coaches. Good parent communication can also create trust between a coach and a parent. As a coach, I always want my athlete's parents to know how much I care about their kids. As a parent, I always hope that my child's coach cares about her wellbeing. Being able to communicate with parents about progress or any concerns can make a coach's job easier. It keeps the parent in the loop and on the same page as the coach and athlete. It also creates an avenue for parents to ask questions and communicate any concerns directly with the coach. I always appreciate when parents ask me questions, especially if it is something specific that they are concerned about. If a parent lets me know that they have a concern, then I can do something about it. I also appreciate parents letting me know when they liked something I did in a certain station or sharing when they think that I, or one of the other coaches, did something amazing. 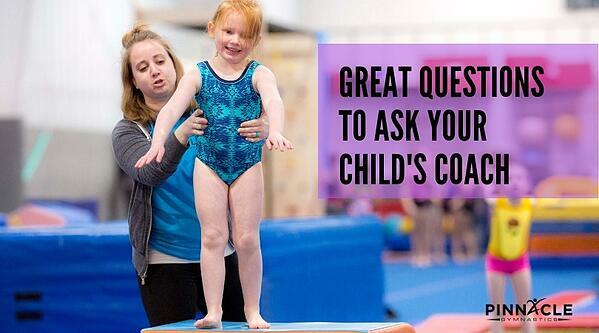 There are tons of lists out there of questions for parents to ask their kids about practice, but what are some good questions for parents to ask their kid's coach? How did they do today? What are some things we can work on at home? Is there anything we could do at home to make them stronger? Is there anything we should not practice at home? 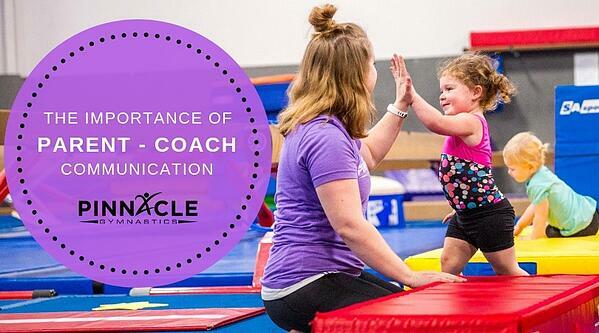 Successful parent and coach communication can make a huge impact on an athlete's progress. It helps to eliminate any misunderstanding between parents and coaches, and can often prevent issues from arising. 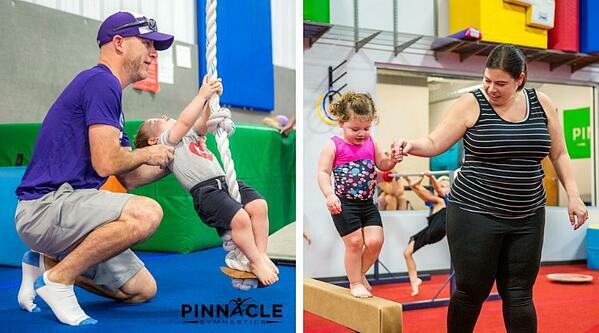 For more information about Pinnacle's coaching philosophy, click here!